Zodwa Wabantu who goes by the real name Zodwa Rebecca Libram is a controversial South African socialite and dancer. She was born in Soweto, South Africa. She once used to work for a debt collection company but resigned to be fully involved in the entertainment industry. Zodwa was born on the 30th of October 1985 in Soweto, South Africa. As of 2018, she is 33 years old. Zodwa became an orphan when she was 11 years old and. She said she was raised by her grandmother and aunt after her mother died. She never got to know who her father. She is a mother to one son, Vuyo, born in 2006, who stays with her family in Soweto. 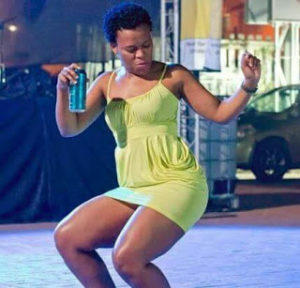 Zodwa currently charges R35,000 per booking for an appearance which majorly involves her dancing.